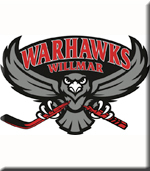 Welcome back the Willmar WarHawks! Join the WarHawks and Staff for a free Open Skate to welcome players back! Free skate rental will be available.